Whether you agreed with the verdict or not, the recent Jeff Horn-Manny Pacquiao fight and its outcome gave Australian boxing one enormous lift. The biggest fight in Australian boxing history, underdog Horn’s upset win over the all time great attracted around 55,000 fans, and the rematch (likely though not definite) could be even bigger. The July 2 win elevated Horn from basically an unknown boxer to a genuine superstar, and his countryman, Mark Flanagan, aims to make a similar leap when he challenges WBA cruiserweight champ Denis Lebedev this weekend. The July 9 fight will not take place in Australia, instead being hosted by Lebedev’s Russian homeland, but the Australian underdog is as confident as his countryman was when entering his fight of a lifetime. And interestingly, Lebedev, like Pac Man, is trained by the great Freddie Roach. Levedev is also an “ageing southpaw,” in the opinion of Team-Flanagan. Can Roach guide his fighter to victory over his Australian challenger this time around? Lebedev, 29-2(22) and aged 37, might be worn enough for the decade younger Flanagan, 22-4(15) to take advantage of. 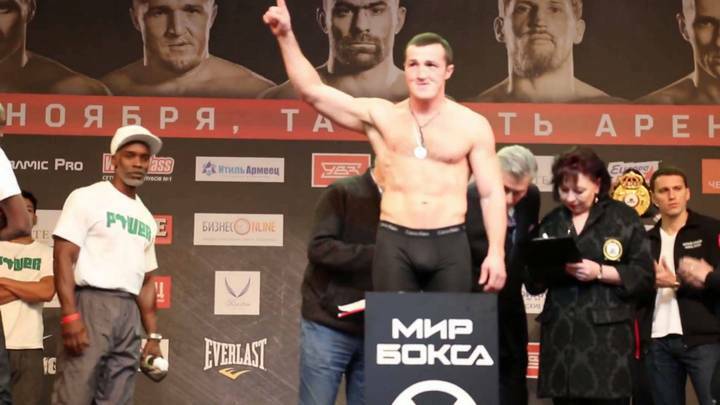 Last seen losing a rough, tough and damaging battle with Murat Gassiev in December – Lebedev keeping hold of his WBA super title simply because, at the 11th hour of the Gassiev fight, it was not put on the line – the veteran might not have too much left. Lebedev has been in plenty of wars (who can forget his brutal loss to Guillermo Jones, when the Russian suffered the worst facial injuries of recent years?) and though Flanagan has never before fought anyone of Lebedev’s class and experience, he might just be in the right place at the right time. But can Flanagan handle the trip to Russia (he has not yet fought outside of Australia) and keep his country’s success going? Lebedev is never in a bad fight, so we should get some fireworks when the two punchers collide.